The open studio time extension, is for the duration of two weeks and can be added to any class. 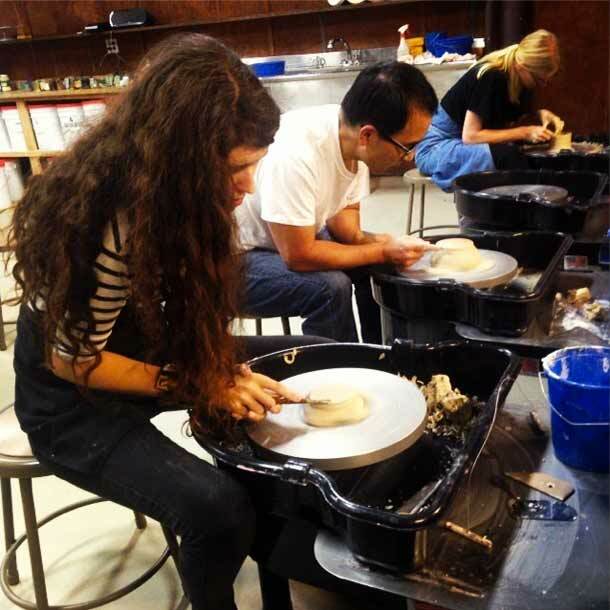 Once purchased, a student can throw ceramics beyond the deadline of the last class. Details below. The open studio time extension, is for the duration of two weeks. It can be added to any ceramics class to extend the open studio time given in the class. Once purchased, a student can throw ceramics beyond the deadline of the last class, but there is still a two week cut off before the final day to allow for started works to be finished. The extension can be used by any student who wants to keep throwing or needs a little extra time to finish their work. The extension does not provide any extra firing inches.